Attendees learned about admissions requirements and eligibility for financial aid and outreach staff went over Free Application for Federal Student Aid (FAFSA) deadlines and what types of aid are available. They also learned about several other forms of aid offered by the CSU including grants, scholarships and work-study programs. Staff also provided guidelines for navigating the CSU’s new online application service, Cal State Apply. Following the workshops, students and parents had the opportunity to meet with representatives to help them decide which university best fits their needs. Each campus provides unique tools and opportunities designed to support students through their academic journey. Programs like academic advising and the first-year experience are being reimagined as part of Graduation Initiative 2025, the CSU’s latest efforts to improve graduation rates and foster student success. 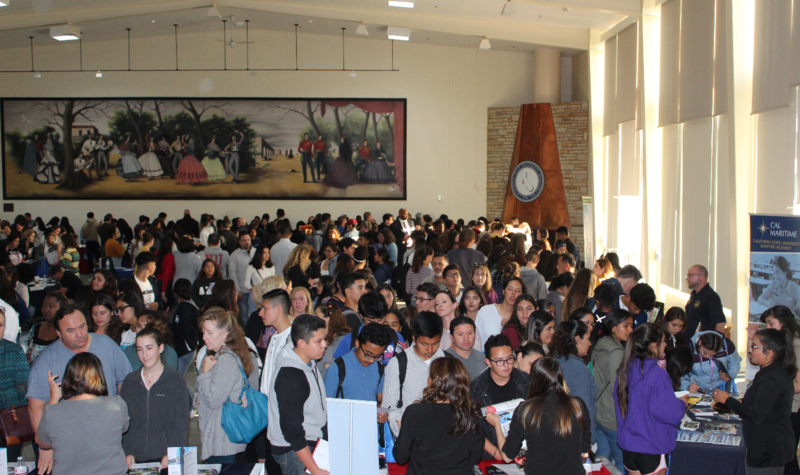 “College Night” grew out of the CSU’s Counselors Conference, in which high school and community college counselors are invited to hear about the most up-to-date information needed to prepare students for the rigors of college and create a pathway toward a lifetime of success.